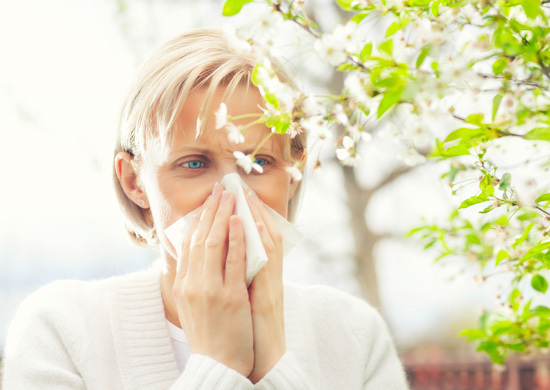 Springtime can often bring the discomfort of seasonal allergy symptoms. There are a lot of wonderful things about springtime that makes people very anxious for its arrival, as winter snows and cold weather begins to fade away. But for the millions of people afflicted by allergies, there can be a serious downside to the spring season as well. 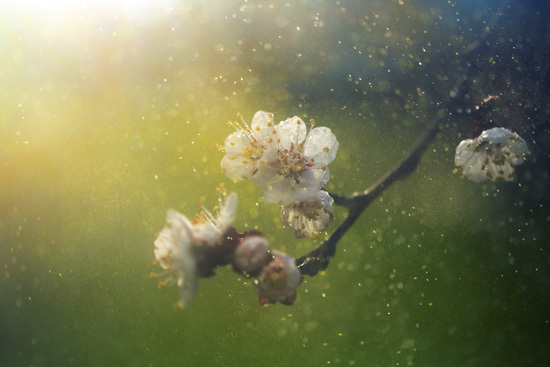 This is the time of year when pollen count increases dramatically, along with mold and other airborne irritants. All of these will have allergy sufferers scrambling for tissues, eye drops, and allergy medications. Once the allergy season gets in full swing, it’s difficult to do anything but manage the symptoms of your allergies and try your best to reduce the misery you go through on a daily basis. However, before your allergies really have a chance to ramp up, there are some things you can do proactively to minimize the effects you might be subject to during the full season. Rather than waiting for allergies to come to you, why not get ahead of the game this season and consult your allergist before things get out of control? Talk to your doctor about which antihistamines work best, and which have been shown to be the most effective in your area of the country. There are different plants and weeds in every area, so the medications which are most effective for your particular region might be the ones you should start using. Ideally, you should also settle on an antihistamine which doesn’t make you drowsy at work. To whatever extent is reasonably possible, try to keep pollen and other irritants out of your home, so that at least you can enjoy a safe haven from them when you’re not physically outdoors. This will mean keeping doors and windows shut so that pollen and other materials can’t invade the home. If you haven’t done your spring cleaning yet, make sure to clean the carpeting and upholstery, and change the air filters so that they can effectively trap anything that does get indoors. When you do have to make trips outdoors, you might want to get into the habit of changing your clothes once you’re inside. Pollen is known to stick to many different fabrics, and you’ll be giving them a free ride into your home, and then wearing them for a while unless you change immediately. Showering before bedtime is another good idea because any pollen which has attached itself to you will be transferred down the drain, instead of onto your pillow where it can torment you through the night. Make sure your air conditioning filters are high-quality filters that trap a very high percentage of all pollutants and pollen so that it doesn’t keep circulating around the home. Trees and other flowering plants release persistent clouds of pollen which can trigger seasonal allergy symptoms. Pollen isn’t the only irritant you need to be on the lookout for, because mold is another pollutant which can trigger and aggravate your allergy symptoms. There are several common places where mold can routinely have the best chance for forming and developing, including your kitchen, basement, and bathroom, all of which are areas having considerable moisture, and providing an opportunity for leaks. When you do discover mold in any area of the household, you should remove it promptly with water and a disinfectant cleaner. If mold has settled on any fabrics in your home, try to clean them off with soap and water, but if that fails, you will probably be forced to throw them away. This might seem undesirable from the standpoint of losing a favored item of your wardrobe, but if mold can’t be removed, it will only come back to torment you the rest of the season. Make a systematic examination of your household to find any leaks there may be around windows or pipes, or anywhere around your roof. When you do find any leaks, repair them as quickly as possible, and make sure there is no material which remains saturated with water, allowing mold to grow. After you’ve done your mold investigation and cleanup, if you discover any persistent re-growth of mold, you’ll need to check again for any leaks, or you may have to check on the level of ventilation in that particular room. If air can’t circulate in any specific area, it’s possible that moisture can accumulate as the temperature rises, and that can also promote the growth of mold. Obviously, you won’t get through an entire pollen season without going outdoors, even if you’re one of those people who doesn’t mind being shut in for a relatively long period of time. But you can plan ahead of time to avoid the very worst times of day for peak pollen count, and then stay indoors when you know those are in effect. Early mornings often have such high pollen counts, so it would be better to plan your outdoor trips later in the day to avoid getting exposed to too much pollen. When you have an extended stretch of weather which is hot and dry, that can also be prime pollen count time and something to be avoided. Rainy days are generally much lower for pollen count, so if you don’t mind getting a little wet, and you don’t mind the gloom of a rainy day, those might be the best days for you to be more active outside. This entry was posted by Social Media Team on May 2, 2018 at 11:00 am, and is filed under Allergies. Follow any responses to this post through RSS 2.0.You can leave a response or trackback from your own site.